Bottom Line: The Iraq War, captured in visceral fashion by one of its combatants. Television journalists might have brought the Vietnam War into our living rooms, but it’s the soldiers who are providing the same service these days. 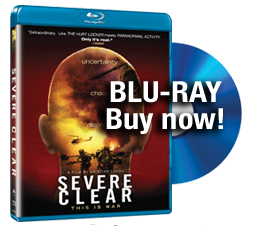 “Severe Clear” arrives on the heels of several previous Iraq War-themed documentaries comprising footage shot by combat veterans — “The War Tapes” being the most notable example — but that doesn’t detract from this frequently gripping and highly personal depiction of one soldier’s experiences. Filmmaker Kristian Fraga has used extensive footage shot by First Lt. Mike Scotti on a mini-DV camera. 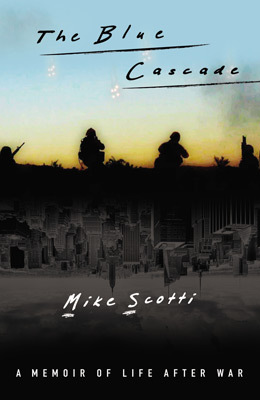 Adding greatly to the film’s effect is the fact that the clearly ambitious Scotti wasn’t simply filming for the hell of it but rather as preparation for a book he planned to write about Operation Iraqi Freedom. Thus, the frequently raw footage is accompanied not only by his off-the-cuff narration but also by extensive voice-over excerpts from the journal he was keeping throughout his deployment. “Severe” also benefits from the fact that Scotti was there from the beginning. The film begins in 2003 with his 40-day voyage on the USS Boxer and his subsequent training on the Iraq-Kuwait border as he and his fellow soldiers waited for President Bush to order the invasion (which they considered a foregone conclusion). It then depicts the march into Baghdad and its eventual takeover by coalition forces. Although the film’s early section largely concentrates on comic horseplay among the soldiers, the proceedings inevitably turn much darker, with plenty of grisly footage documenting the bloody carnage that resulted. Thanks to the extensive narration, one also becomes intimately familiar with Scotti, who frequently refers to a female high school friend who was killed in the 9/11 attack on the World Trade Center. “Severe” is ultimately less notable for the by-now-familiar thematic points than for its visceral true-life portrait of the brutality and chaos of war. It offers a much needed personal perspective on a subject that is too often reduced to political arguments.